Step 2 oil change products for your next oil change, by Mega Power. Oil Change Products Step-2 items. Mega Power Engine Service and protector. 10 minutes before oil change, install item #4 by adding it to the motor's dirty oil. Run motor or drive for 10 minutes, then drain out oil oil. Replace with new oil and filter. On top of the new oil add items #5 and #6. Drive as usual. Repeat every 6000 miles. Includes Oil and Friction Protection Modifiers. Mega Power Step 2 Oil Change Products 3 items needed. Easy-to-follow directions. Phone help if needed. Includes a bonus item for appreciating your order. Just $40. Includes shipping usa. Order one or more sets clicking cart buy button. Full Engine Service includes step oil change products listed above. Order a full Mega Power Complete Engine Treatment here. Includes... 6 items needed for top and bottom cleaning of your engine. Gas or Diesel. Easy-to-follow directions. Phone help if needed. May include a bonus item for your power steering to protect it - A $39 value, Free. Just $95.00 total. Includes shipping usa. Order one or more sets. Save $39 with bonus. 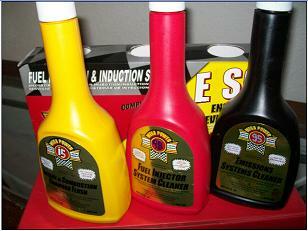 More Mega Power Step 2 Oil Change Products Specials for Quick Lubes and Repair Shops. Quick Lube- Repair shop inventory Ordering for resale. 12 sets of 4 items to a set. 48 items total. Each set of 4, as described, service one vehicle during oil change. Retail value for each set installed: $99 plus oil and filter. 12 sets just $20 each set. On special. $240 total. Includes shipping. Just $240 total. Order Now!